X-Yachts was founded in 1979 in Demark and today X-Yachts is one of the most successful yacht builders in the world. X-Yachts have concentrated on high quality and performance to their modest range of cruising and racing yachts. 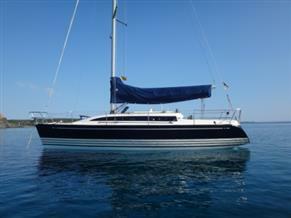 Here you will discover a fantastic range of X-Yachts for sale including the 362 Sport, IMX 38, X99 and X35 One Design.